I am fresh off spending two days learning all about skin and taking care of it in my herbal studies class. Whew! There was so much to learn! As my skin care routine is rather simple and almost non-existent, it was fascinating to learn how much there is to know about skin and taking care of it. It has also made me crave some good home-made facials I used to do for myself before the girls were born. Our skin is our largest organ of elimination and over half of the blood supply goes to the skin. While great skin begins on the inside, with your digestion and the state of the immune system, we can still affect it from the outside. The skin renews every 14-30 days, so better looking skin is not too far away! This has inspired me to put together a fun evening of doing facials! I’ll provide all the supplies, you bring your clean face, ready for pampering! We will scrub, steam, apply masks, toners, and finally, a rich cream to seal in all the goodness. Your face will shine from all the love and care we’ll lavish on it! We’ll use herbs and essential oils that promote skin health and enjoy a little do-it-yourself pampering. Please bring (or wear) an old t-shirt, a hand towel, and have a way of putting your hair securely away from your face. We’ll go from between doing things ourselves, to working with a partner, to learning an easy face-lift technique. This is one recipe for a healthy smoothie I always go back to when I have all the ingredients. When I don’t, I just don’t use them 🙂 A word of caution, I am not that great with measurements when it comes to food. I eyeballed what I was putting in, so the measurements are approximate. Don’t forget to read below the recipe for my notes about this healthy smoothie! Blend everything together and enjoy promptly! I would not store this even in the fridge, so whatever is left gets discarded. Otherwise known as, mommy drinks it. We do buy majority of our food organic, so everything in this list is organic. I get bags of frozen organic fruit at Costco. We only drink raw milk at this point and I get it at Artichoke Dairy in West Newbury, MA. Molasses add a touch of sweetness to the drink and are actually good for you! Molasses are a rich source of iron, B vitamins, folate, magnesium, calcium, and potassium. Read more. Chia seeds have recently come out as a new superfood and you can read more here. The only thing with seeds is that not everyone can digest them well. So using less is probably a better idea than using more. Here is another great post on all the benefits of chia seeds from Jen Reviews. Kelp is a great source of iodine to support healthy thyroid function. Read more here. In this small amount, you can’t actually taste it in the smoothie, which is a big plus for me. We get our eggs at Tendercrop Farm. I would not use a store-bought for eating raw. Again, you can’t taste it in the smoothie. Disclaimer: No part of this post is intended to diagnose, treat, or cure any illness. Nothing on this post is to be construed as medical advice; I am not a doctor, I am only relating my personal experience. Please discuss your personal health with your personal, qualified health practitioner before making changes to your diet or adjusting/discontinuing any medication. I am not responsible for any adverse outcomes associated with using or misconstruing advice or information on this site. My relationship with food and my weight has changed greatly over the years until I have arrived to where I am now with my choices. I’ve gained quite a bit of weight when I was going through my divorce years ago and then used all kind of methods to try and lose it. I exercised religiously and intensely, I followed different diets, took diet pills, counted calories. You name it, and I probably did it. I’d lose weight, I’d gain weight, but overall, I did lose weight and got to a better place weight-wise. But it wasn’t until I started practicing yoga that I became at peace with my body and maintaining my healthy weight stopped being a struggle. I have also discovered Weston Price Foundation through attending an Herbal Conference. A lot of the teachers there emphasized how important good nutrition is and their advice was very different from Standard American Diet guidelines. That new way of eating seemed to make sense though, and so that’s what I’ve been following for the last maybe 5 years. I’m not a strict adherent to this diet, but this is something I always go to when I’m feeling less than good or if my clothes start fitting a little tighter. So, what is it in a nutshell? No processed foods – if it comes in a box or a can, you probably shouldn’t be eating it. No substitutions, imitations, or fat-free anything – this is a full fat diet where healthy fat is your friend, not your enemy. Dairy is allowed, with preference given to full-fat, raw dairy from grass-fed, pastured cows. Raw milk is available at Artichoke Farm in Newbury. If you are not up to raw milk, non-homogenized (second best) is available at Appleton Farm in Ipswich. All grains, seeds, and nuts should be soaked before cooking. I don’t do this for nuts, but I also don’t eat a lot of them. If it’s a big part of your diet, you should soak and then dry them. Fermented foods are a staple, eaten every day (small amounts). Bone broth is another staple that you have regularly. This is not a raw veggie diet, most vegetables are cooked before eating. It takes some time to have everything in place and it shouldn’t be an all or nothing approach. Like with any diet, it works best to plan your meals and then it just takes some time to get used to thinking about your meals a bit differently. It doesn’t take a lot of effort for me to put some beans in a bowl with water in the evening and then put them in a crockpot the next day. After they are done, I can add them to my meals much easier. The same with the bone broth – I make it in my crockpot and after it cools, divide into portions and freeze to use later for soup. This week we are focusing not so much on taking foods out, but on adding certain things in. Think of this week as a transition week that will help you prepare. After you get up and brush your teeth, have a small cup of warm, not cold, honey/lemon water. This should be your first drink of the day. I use a small cup and fill it with about 4 oz of hot water, add half a teaspoon of raw, local honey, and then a squeeze of lemon. I cut a lemon in half and just squeeze the half into my cup, but not all of it. I think I end up with about a tea spoon of lemon juice. You want to sip this as you are going about your morning and then have breakfast. You really should get honey at a farm stand. Tendercrop on 1A, formerly Canaan, has local honey. If you are buying at the supermarket, just read all the labels. A lot of supermarket honey is not actually honey. You are looking for raw and local. Local just has more benefits later on in the year as it will help with your seasonal allergies. This little drink helps kick-start your digestion and prepare you to have breakfast. It’s important that water temperature is hot or warm, but not cold. I also find that about 4 oz is enough and you do not need more than that, unless you want more. You can buy yogi tea at a store, but it’s much nicer to make your own, it just tastes better. Add 1/4 teaspoon of any black tea. Simmer for 1-2 more minutes and turn off. In a large cup, pour 8 oz of tea and add 4 oz of milk, enjoy! Tips: Basically, you add half cup milk to a cup of liquid. I like to pour hot tea and then add a splash of milk, so it’s not exactly the same proportions as the recipe. You want to avoid heating this up in the microwave, just on the stovetop. But if the only way you’ll drink is by using microwave, go for it. If you don’t drink milk, do not use milk substitute (almond or soy milk). Instead, you can add a bit of coconut oil, or ghee. If you do drink milk, best is raw, second best is non-hydrogenated. That is available at Appleton Farm in Ipswich on 1A (call ahead, they don’t always have it, it has yellow top). I find that this is sweet tasting enough, but you can also add a little honey to it. You can heat up the tea together with milk, instead of adding milk later. These are two things I’d like you to start doing. You might find that by drinking yogi tea you are not as hungry. Honor that feeling. Try to distinguish when you are truly hungry from when you are eating because it’s time to be eating. And please share your experiences and ask questions! 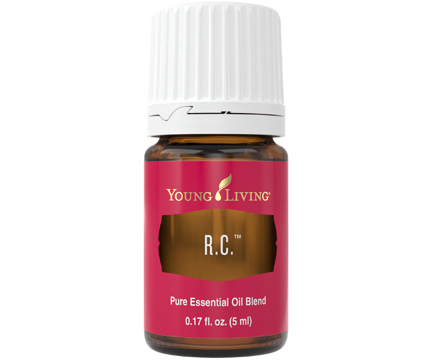 YL Oils: R.C. and breathe easy! I would recommend this blend for the fall when the sniffles come around. It’s also very economically priced, just $13.49 retail. You can read more about the blend here. And if you’d like to purchase it at some savings, just let me know and I’ll be happy to order it for you. And, if you check Young Living oils and decide you want to become a distributor, please use this link to sign up or provide my member ID: 3199529 when signing up. We are, unfortunately, all at different stages of being sick in this house. I’ve had an annoying cough for a while, then Sophia got sick and now my husband is sick. Being pregnant, there aren’t too many over-the-counter remedies I can take and so I have allowed this cold to drag on and on. I am getting pretty tired of it though! Couple that with my husband’s awful cough, and it was time to do something. I found a recipe for a cough syrup online that I had the ingredients for and seemed simple enough. I made it just yesterday and my husband has been loving it! It really helped him with his cough, he’s barely coughing today and it’s helping with mine as well. I’ll be making some more in a little bit. A good thing about it is that you really can’t overdose on it. Warm up the ingredients on low heat, just to melt the coconut oil and blend things a bit. That’s it! Make sure to test the temperature before taking a big spoonful. I make sure to mix it before scooping some out and take from the bottom. The coconut oil will solidify eventually, so you’d want to warm it up a bit again as needed.